As the business manager Loy makes arrangements and provides all contracts for the parades and other occasions. Chris has been with the band since 1998 and has held a number of positions from that time including Tuning Corporal and Pipe Sergeant. 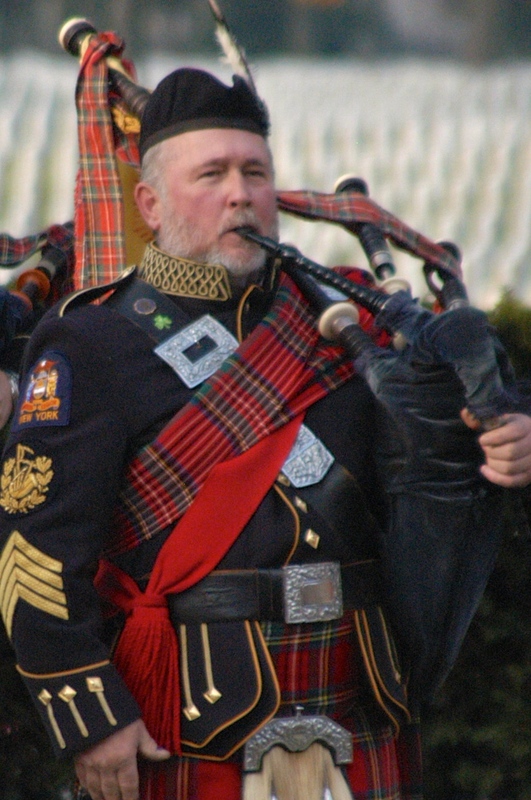 Chris was elected Pipe Major in 2012. I'm currently employed as the Driver-Messener for Nassau County Surrogate's Court in Mineola. I played the Tenor Saxophone throughout middle school and high school. 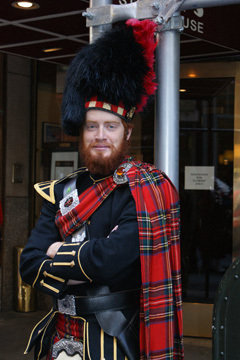 After I graduated I dabbled in piano as well, but I put that on the back burner to focus on bagpipes. Using my vast musical knowledge and the expert tutelage of the Amityville Pipe Band I can now proudly call myself a bagpiper. 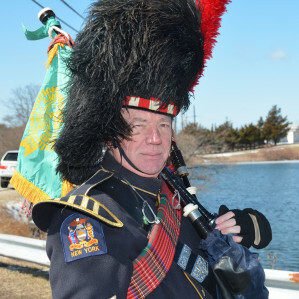 Sean joined the Amityville Highland Pipe Band in 2006. 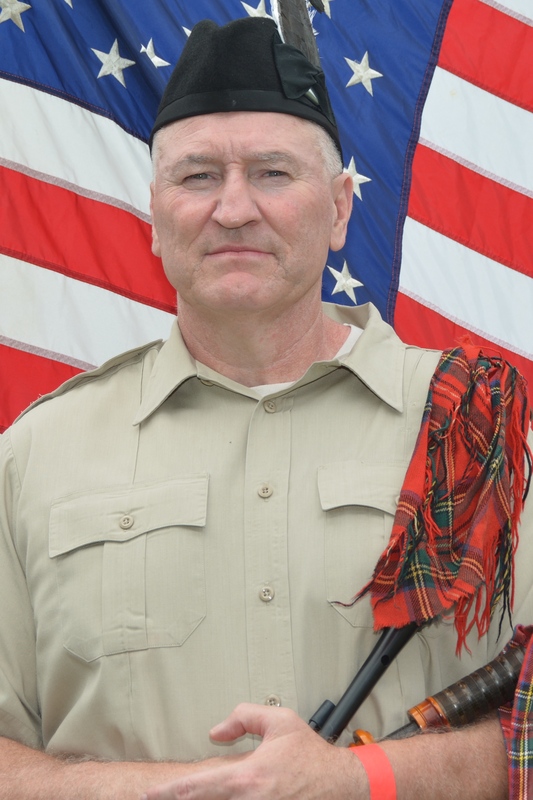 After spending a couple of years in the color guard while learning to play the bagpipes, he became a member of the pipe rank. His favorite parades are the St. Patrick's Day parades in Montauk, NYC and Huntington. He also enjoys the Scottish Games at Old Westbury Gardens. This band provides a great opportunity for someone like Sean; someone who did not play an instrument or know how to read music prior to joining. 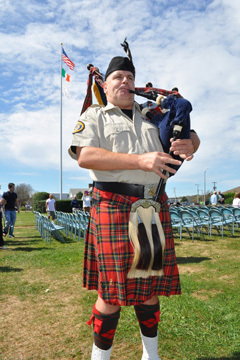 Being a member of the color guard and having a pipe/drum instructor available, to us gave new members the opportunity to play bagpipes. Musical Background – I learned the pipes when I was 14. I played with the band until college, then rejoined the band 10 years later. I was the Pipe Major for 10 years and just recently retired, passing the leadership onto Chris, our current Pipe Major. Married to Marguerite for the past 22 years and I am the proud parent of two daughters and three sons. Currently I am working at Kennedy airport and I am also a Reservist in the United States Coast Guard.